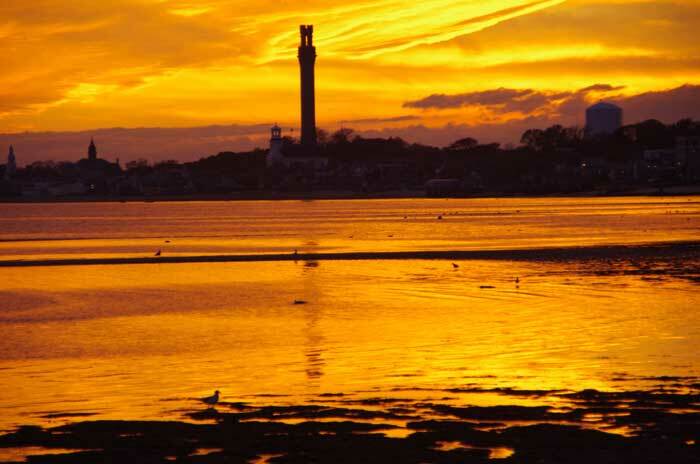 Provincetown, which sits at the very tip of the Cape Cod peninsula, was the first landing point for the Pilgrim Fathers before they moved on to establish their colony a little further up the coast at what was to become Plymouth. 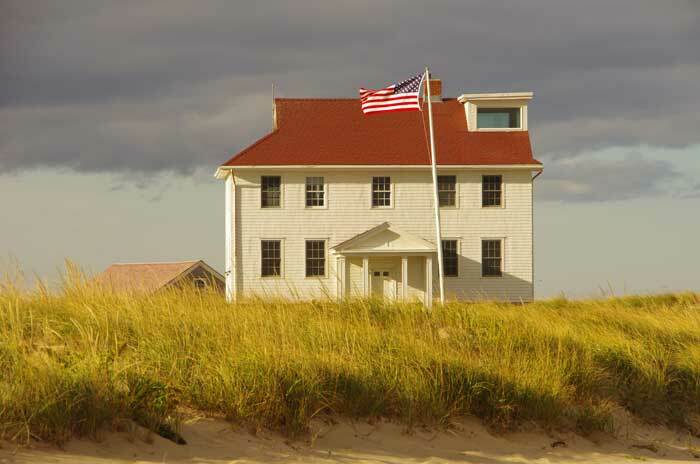 It was also the final holiday destination for our three week New England trip. The town has a special feel about it; as the local fishing and whaling industries started to fade away towards the end of the 19th Century so the area drew in artists who were attracted by the gentle scenery and the soft light which, rather like some of the western tips of the British Isles, has a particular quality about it. Hard on the heels of the artists came sculptors, glass workers, writers and poets, and with them the gradual establishment of a small, close knit, bohemian society which eventually, and perhaps inevitably, became a focus for America’s gay community as they ‘came out’ in the final decades of the last century. By all accounts the summer months also bring vast numbers of tourists, but by the dying days of October most visitors have departed and we were able to stroll through what is effectively a one street town with mainly locals for company. Whether as a result of strict planning laws or the application of good taste most towns on the Cape seem to have avoided the out-of-town shopping developments and commercial ‘strips’ which, in my opinion, have blighted some of the towns we’ve visited over the past three weeks. 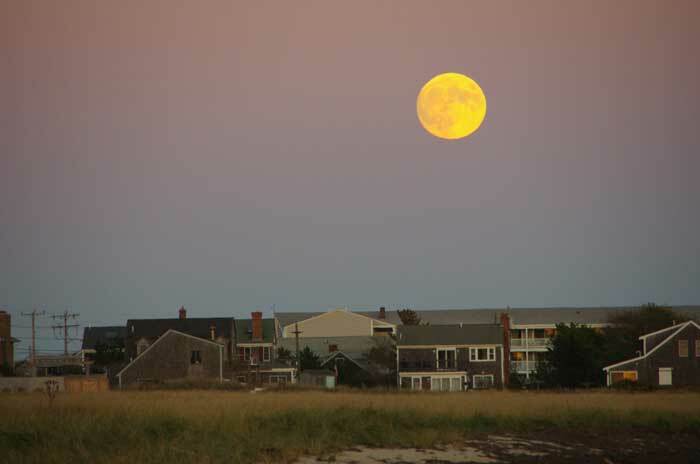 Perhaps as a result of land in Provincetown being at such a premium most of the residences in the town are modest in size and those that nestle along the sea shore are universally picturesque. 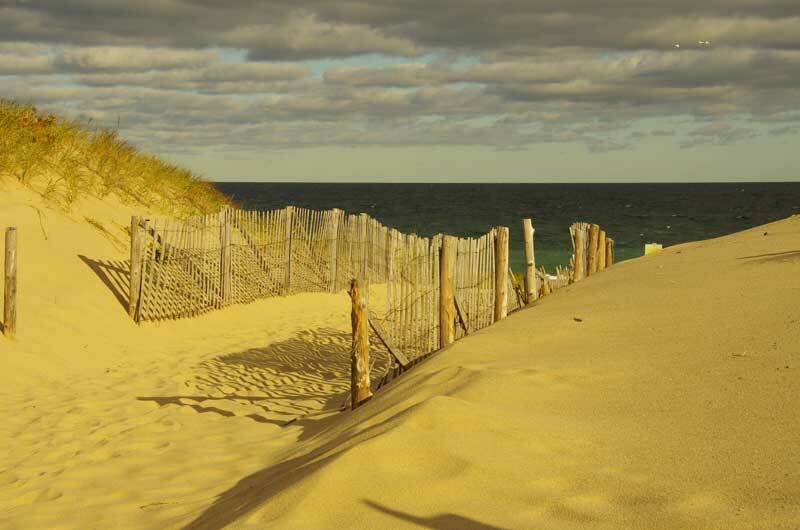 Outside town the land consists mainly of dunes which, having been largely de-forested over the past three hundred years, are now closely protected from development. As you walk along the foreshore the sea looks pretty much as it does in other parts of the world, though the iconic Cap Cod lighthouses add something special to the landscape and inevitably, therefore, feature in everyone’s holiday snaps. Fortunately the weather was kind to us for this final stopover. After a spectacular sunset on day one we were rewarded by a bright but cool day, which was perfect for exploration, and a ‘hunters moon’ to round off a great holiday.